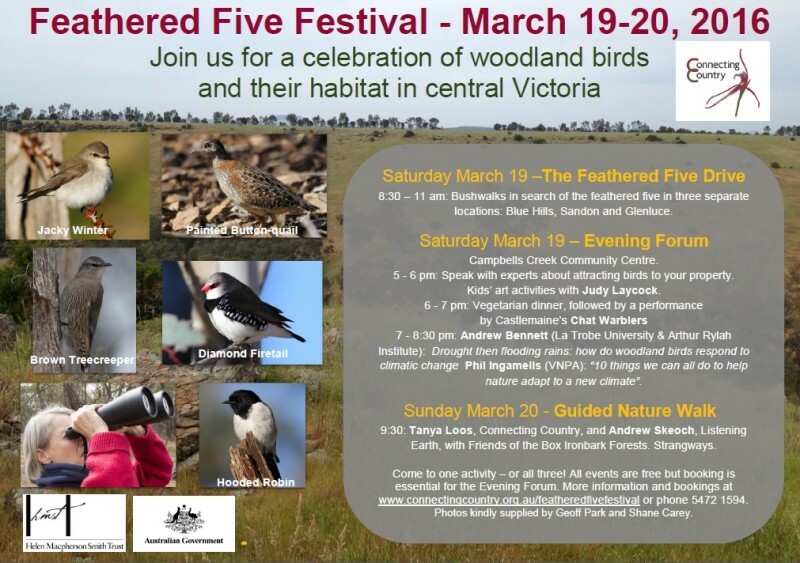 Connecting Country’s inaugural Feathered Five Festival took place on the weekend of the 19th and 20th March 2016. Over 260 participants enjoyed bird walks, talks, art and song that featured the Five Woodland Birds that are an important focus for our woodland bird action plan. Saturday 19 March 2016, 8:30am – 11 am, various locations. 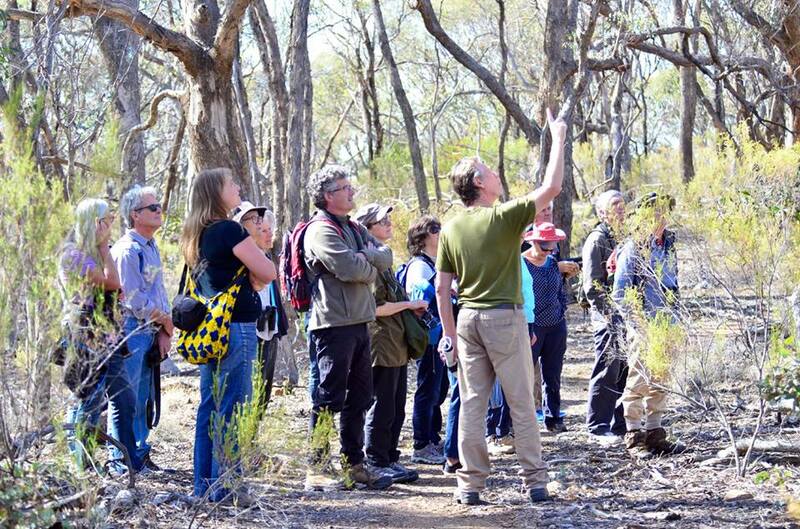 Community-led bushwalks in search of the feathered five in various locations around the Mount Alexander Region. Our region covers many different habitats and local communities – and to celebrate this and ensure maximum coverage we held three simultaneous bird walks, in the following locations Blue Hills/ Nuggetty, Clydesdale/ Sandon area, and the Glenluce area. Walk locations were selected because they are known sites of at least some of the feathered five. The aim of the drive was to cover as much of the shire as possible in one morning – to see how many of the feathered five we can spot. We saw 56 species in total! The Brown Treecreeper had a good showing, as did the Jacky Winter, with the Hooded Robin only at one site, and the Diamond Firetails and Painted Button-quails out of sight unfortunately. Click here for an excel spreadsheet with a list of all species seen and in what locations, including Sunday’s FOBIF walk. The excel sheet has x’s for some sites and numbers for others – it is always better to get the numbers of birds for data collection, but an x will do if need be. Warburtons bridge: 27 species, including Brown Treecreeper and a Crested Shriketit. Rise and Shine: 26 species, Brown Treecreeper, Jacky winter, Varied Sitella and Golden Whistler. Back Cemetery Rd: 20 species, and Lakeys rd: 15 species, Jacky Winter and Hooded Robins! Thank you to everyone who participated on the Feathered Five Drive – and especially to our walk leaders – Asha, Kerrie, Jane and Kerri! Over 60 people booked in, and 30 of these people were new to Connecting Country’s events! Saturday 19 March 2016, 5pm – 8.30pm, Campbells Creek Community Centre. The evening kicked off with our “speak with an expert about attracting birds to your property” . Many Connecting Country staff members were on hand to answer participant land management questions; Bonnie Humphreys answered any plant questions, Jarrod Coote spoke about whole farm planning and funding opportunities, Tanya Loos was there to discuss birds and other fauna, Alex Schipperen answered anything practical, and Asha Bannon helped participants link-up with their local Landcare Group. 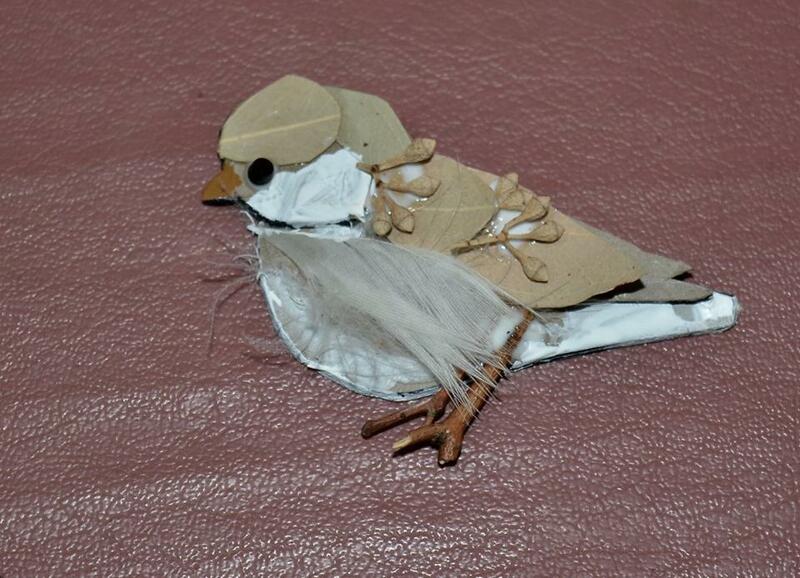 Meanwhile, the kids took part in nature art activities with Judy and Alice Laycock, creating a selection of delightful woodland birds made from natural materials. Participants also recorded their observations of the feathered five on our communal map. 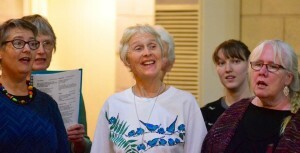 We enjoyed a simple and tasty vegetarian meal prepared by the Growing Abundance, which was followed by a delightful performance by Castlemaine’s Chat Warblers. The Growing Abundance Project began its catering enterprise in early 2011 as a way to showcase the endless possibilities in creating healthy choices with local food. 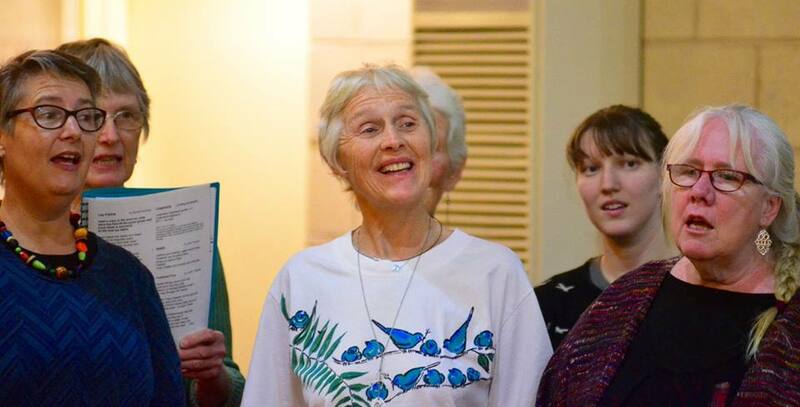 The Chat Warblers are a women’s a capella group led by Jane Thompson which is now over 40 singers strong. 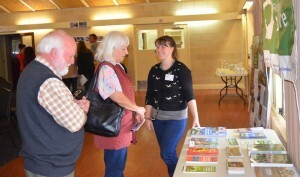 The highlight was the talks addressing “the future of our woodland birds in the Mount Alexander region”. Dr Andrew Bennett and Phil Ingamells shared with us the current research on how woodland birds are responding to climatic change, and provided some inspiring tips on what we can be doing to help. Andrew Bennett (La Trobe University & Arthur Rylah Institute): Drought then flooding rains: how do woodland birds respond to climatic change? 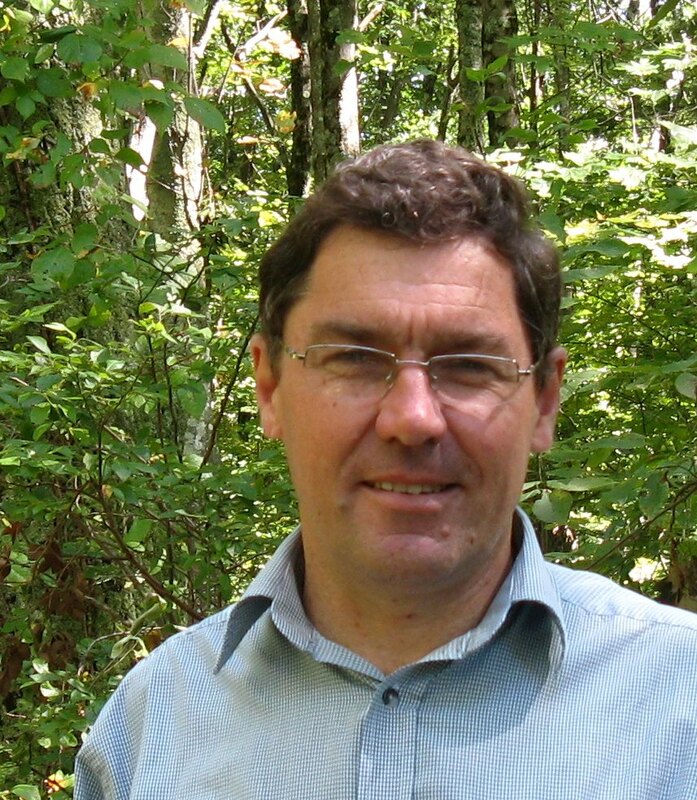 Andrew Bennett has long-standing research interests in landscape ecology and conservation biology, with a particular focus on understanding how human land-use and landscape change affect native wildlife and ecological processes. 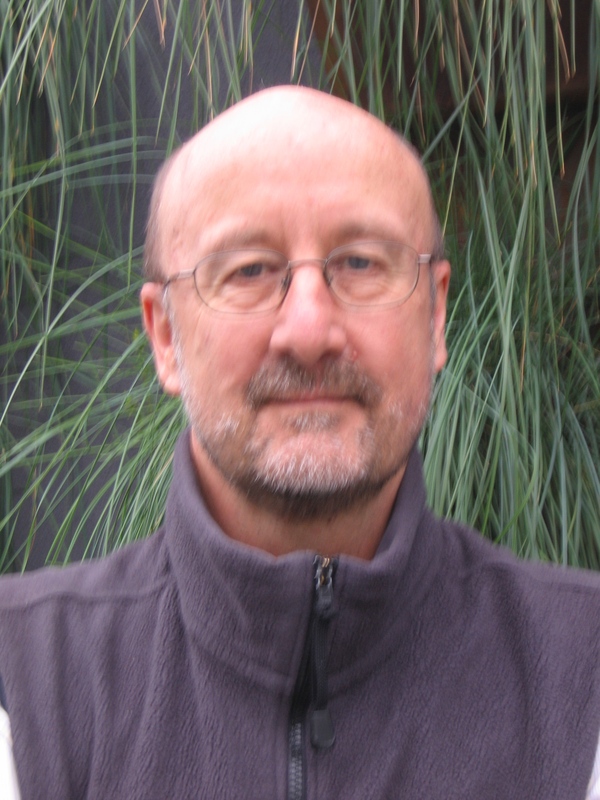 His current position is a joint appointment between La Trobe University where he is Professor of Ecology, and the Arthur Rylah Institute for Environmental Research where he has a science leadership role. 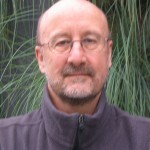 Phil Ingamells has worked in the field of environmental education for ‘longer than he cares to remember’. 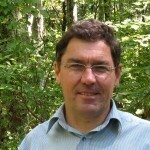 He currently works with the Victorian National Parks Association, advocating for better management of Victoria’s natural heritage. VicNature 2050 has more information on the 10 things and is well worth checking out. 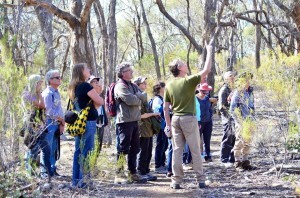 It was organised by the Victorian National Parks Association, The Royal Society of Victoria and The University of Melbourne’s Bio21 Institute. Sunday 20 March 2016, from 9:30 am, Strangways (meet in Castlemaine). This walk had a special focus on woodland birds and their habitat. It was held at Andrew Skeoch and Sarah Koschak’s beautiful woodland/forest property in Strangways which is a woodland bird wonderland, with a lovely grassy understory and grand old eucalypts. A joint Connecting Country and FOBIF event, it was led by Tanya Loos and Asha Bannon from Connecting Country, and Andrew Skeoch from Listening Earth. This walk was very well attended with nearly 60 people – many of them new to FOBIF walks! We recorded 41 bird species and an amazing five mammal species – Eastern Grey Kangaroo, Swamp Wallaby, Echidna, Yellow-footed Antechinus and Koala. The bird highlights included a Fan-tailed Cuckoo, the White-browed Babblers, and the stunning Yellow-tufted Honeyeaters. Click here for the bird list- found on page two of the Excel sheet. Click here to read our post about the evening .